"Our iconic pack for your boldest, backpacking adventures. 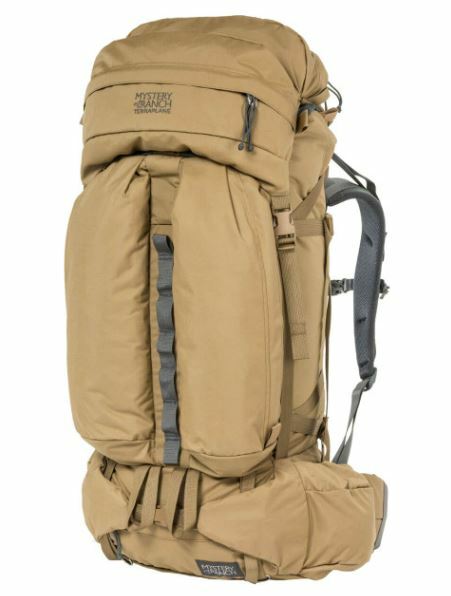 The TERRAPLANE is our most revered, time-tested expedition pack. While its legacy lines are easily identifiable, it incorporates our latest fabrications and design updates. The core features and top-loading design stay true to the original, yet you’ll find significant advancements in construction and materials. The TERRAPLANE represents both our heritage as well as our latest, Load Carriage™ vision. Intended Use: Expeditions, Extended Backpacking, Multi-Day Backpacking, Weekend Backpacking "